How Cyber Ready is your business? 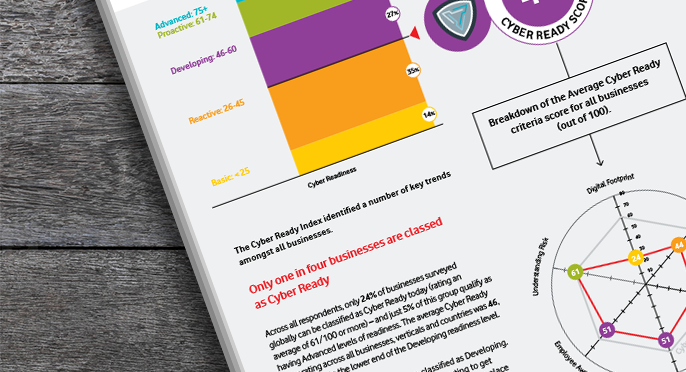 Only one in four businesses globally is Cyber Ready today – and those organisations enjoy greater trust and higher growth than their less ready rivals. 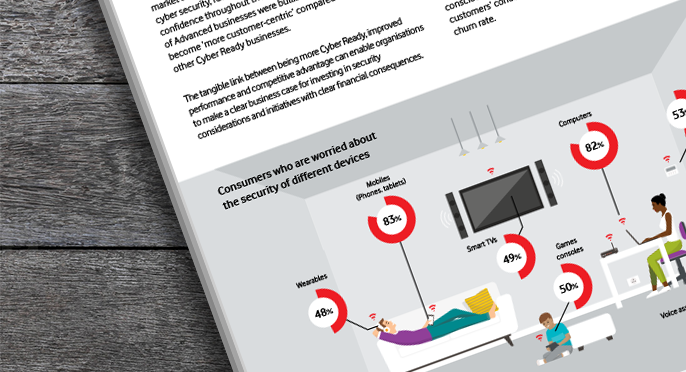 This report investigates Cyber Readiness levels and trends worldwide, focusing on its effect on businesses, both large and small, the employees within them and the consumers who buy their products and services. The cyber security landscape is always in a state of flux, but currently only 29% of business decision makers feel their organisation is ready for the future. Businesses need to be proactive to overcome the ever-changing security threats and challenges thrown at them – ultimately, to survive and thrive, they need to become Cyber Ready. 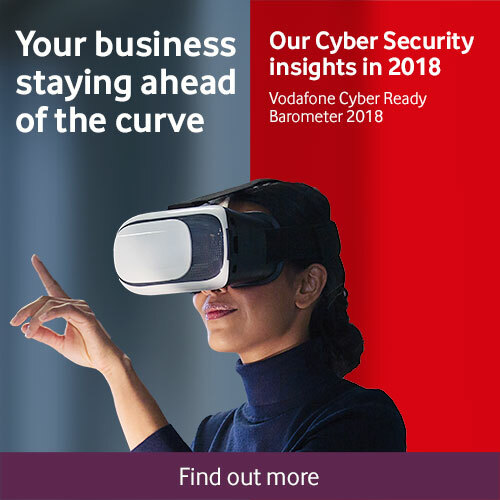 The Vodafone Cyber Ready Barometer report paints a fascinating picture of the levels of Cyber Readiness in businesses today. With responses from 1,528 enterprise and public sector executives and 3,218 employees and consumers across 9 countries, it charts shifting cyber security attitudes, drivers, barriers and the relationship with business performance. The report shows, almost without exception, that the more Cyber Ready a business, the bigger the success. Whether you’re a security professional in a large enterprise or an IT decision maker in a small business, the Cyber Ready Barometer is an essential guide to what’s truly happening in the business cyber security scene – with detailed insight from employees within those companies and the citizens they deal with. The cyber threat landscape and evolving digital footprints continue to present major challenges for all, despite recent improvements and greater focus on security. How the levels of Cyber Readiness vary between different businesses; but there are some persistent overarching trends across country, size and sector – while the most Cyber Ready companies are already gaining a competitive advantage. How contrasting attitudes between large and small businesses, their employees and the customers who use their products and services. Highlight some significant opportunities that are being missed. Read the full research report detailing the findings of our global study in Cyber Readiness. All the key facts and findings you need to know about Cyber Readiness in 2018. 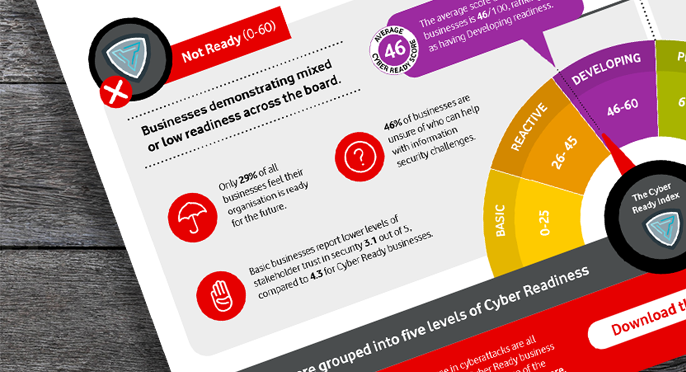 A visual representation of the key Cyber Readiness trends and findings. Vodafone Global Enterprise is requesting your personal information (name, surname and email address) to fulfil your request for the asset. Your company name and country is requested to gain insight into the effectiveness of the report. By ticking this box you are giving permission for Vodafone Global Enterprise Limited to store the details you have provided in order to send you our thought leadership, research reports and insights in the future.